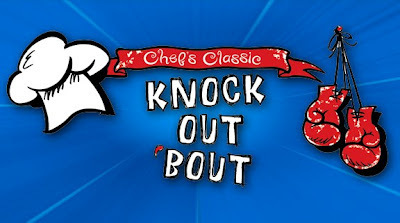 It was a battle royale at St. James Academy last Saturday for the Chef’s Classic Knock OUT ‘Bout. 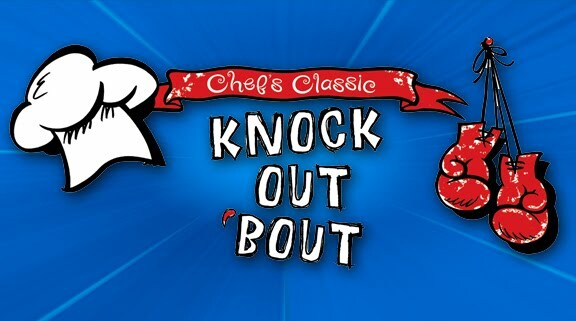 At this boxing-themed culinary throwdown, eight local chefs competed for a trophy roughly the size of a high school freshman. In each of rounds one and two, the chefs prepared an appetizer and all attendees got a ticket to vote for their favorite. The top two chefs then advanced to round three -- a secret ingredient, Iron Chef-style, head-to-head cookoff. 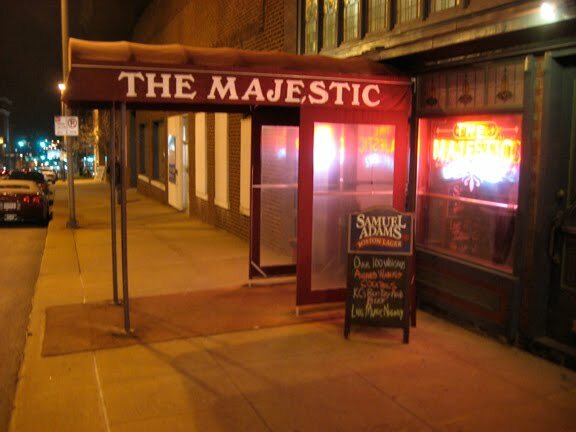 For our most recent Guys’ Night, we decided to check out the Majestic Restaurant for some fancy drinks and cheap happy hour eats. 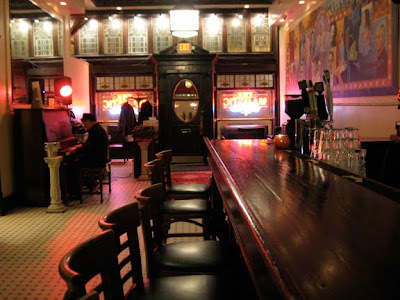 Robert had been there for happy hour before, and swore on the deliciousness of the housemade corn dogs. Seeing as how we’re already big fans of your everyday non-gourmet corn dogs, he pretty much had Dorsett and I sold immediately. Pair these entrée-flavored chips with chip-flavored chips and you’ve got yourself a complete meal. 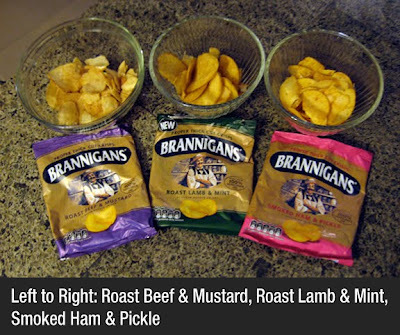 While Chris and I were waiting to board the plane back home, these unusual Brannigans flavors of chips -- pardon me, flavours of crisps -- caught my eye at an airport gift shop. You’ll notice they’re all based on main course meat dishes. 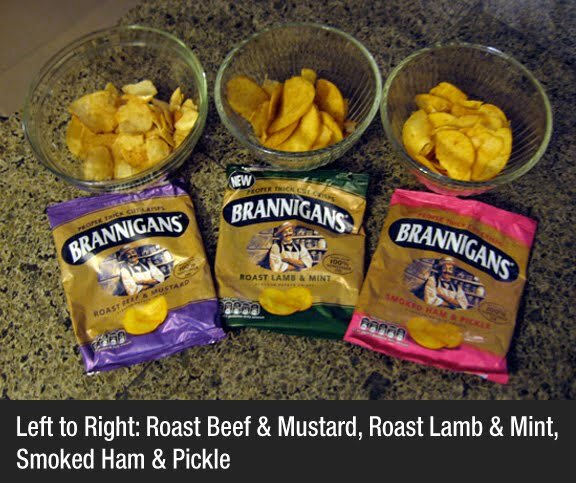 According to the bags, these are “proper thick cut crisps.” That’s good, because if one wishes to maintain a respectable standing within British society, one mustn’t be seen associating with crisps of the improper sort. You’d never live down the scandal.